Apple is a renowned brand across the world with a variety of items. Tim Cook announced the Apple’s new item as the Apple Watch on 9th September 2014. The watch is capable of supporting health related checks and fitness tracking. It can also integrate with other items which support the iOS. Apple watch has three types, Apple Watch, Apple Watch Sport and Apple Watch Edition. To benefit from all of the functions of the watch, it needs to be connected to an iPhone5 or any model after the iPhone5 that supports the iOS 8.2 and similar versions coming after the 8.2. 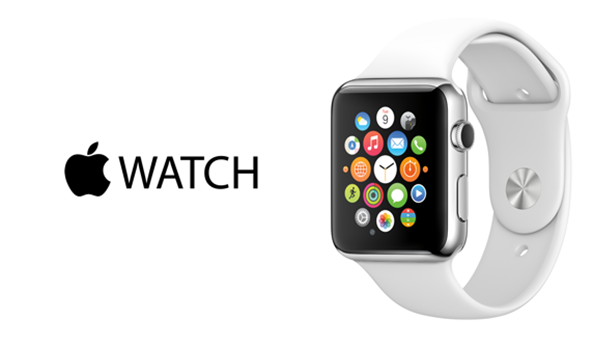 The shipping of Apple Watch will begin from 24th April 2015. The Apple Watch facilitates you to receive calls and messages because it is paired with an iPhone. The watch is capable of controlling an Apple television and it can also give directions to the user via Google maps application. The best feature of this app is Siri, which is a personal assistant as well as a knowledge navigator and was previously available in iPhone only. This watch uses the force touch option allowing it to judge if the force applied is enough or less. The Apple Watch has three types with distinct designs and it comes with two case sizes. The case of Apple Watch has a mechanism with the help of which the straps become interchangeable. The Watch screen is sensitive to pressure and can differentiate between a tap and a press. There is a button specified for showing the contacts list. The watch is charged through a cable just like charging the MacBook Apps. The new S1 processor in the Apple Watch is a state of the art invention that inventors call as a whole computer on a single chip. This highly artistic watch has a built in sensor that monitors heart rate through infrared and light LED’s. It’s water resistant NOT water proof. All the versions of Apple Watch have an inner storage capacity of 8gb that means you can store music and also picture files. And more superbly, when the watch is paired with the iPhone, all the data on the phone is available on the watch. If the pairing is ended, you don’t have access to the data on the phone anymore. With the invention of this Watch, users will surely enjoy their iPhones and you don’t need to take out your cell phone each time to answer calls or read text messages, just tap on the Watch and there you go!